At Williamsburg Garment Co., not only do we manufacture some of our own denim inside our shop located at 338 Wythe Ave, Williamsburg, Brooklyn 11249, we also do denim repairs and alterations on any brand of jeans. Hemming time can vary from 30 mins to 1 day. Most all other denim alteration services average 1 to 3 days. 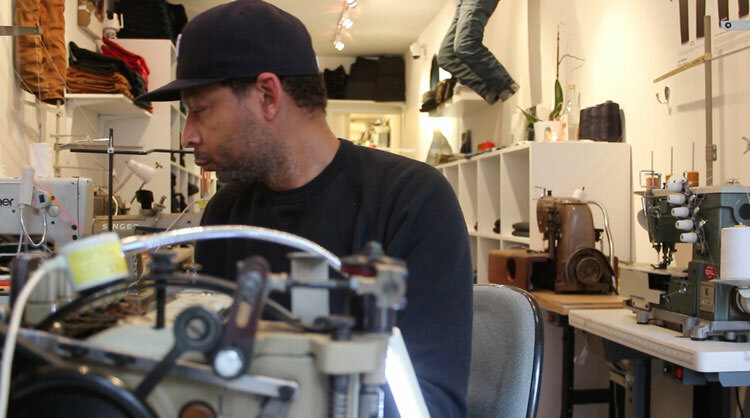 For on-site service, it is important to note we share space with Brooklyn Denim Co., which has its own alterations and repairs service. However, we do have separate staffs and equipment. Per agreement, walk-in alterations are handled by Brooklyn Denim Co. at their prices. If you want service for our company, you must purchase your requested service through our website. We offer at check-out a drop-off / pick-up option to avoid shipping charges. Print your order and drop-off your jeans with your paid receipt. Otherwise, Brooklyn Denim Co. can also handle drop-off service very well. Williamsburg Jeans - $5 online; free with in-store purchase. Other Brand Jeans - $5, Williamsburg Jeans - $0. Based the size of the hole needing repair, prices range from $20 to $40.